Meet Seven Handle Circus & Moontower! Here’s a clip from their most recent performance at Terminal West last year. Needless to say, they have that “it” factor going on! Moontower returns for a second appearance (performing 11:30pm on Shed Stage, April 5) at TDawg’s Back Porch Hootenanny, and folks are pumped! These fellas have built quite the loyal following and for good reason. Mixing a strong dose of original material with the perfect covers, their music propels your groove as well as any fine jam ever has. The video below is from their previous Hootenanny appearance in September of 2012 performing an epic 27 minute jam with the help of Benji Shanks on slide guitar that is one of the more unlikely medleys you’ve heard in a while. Enjoy! 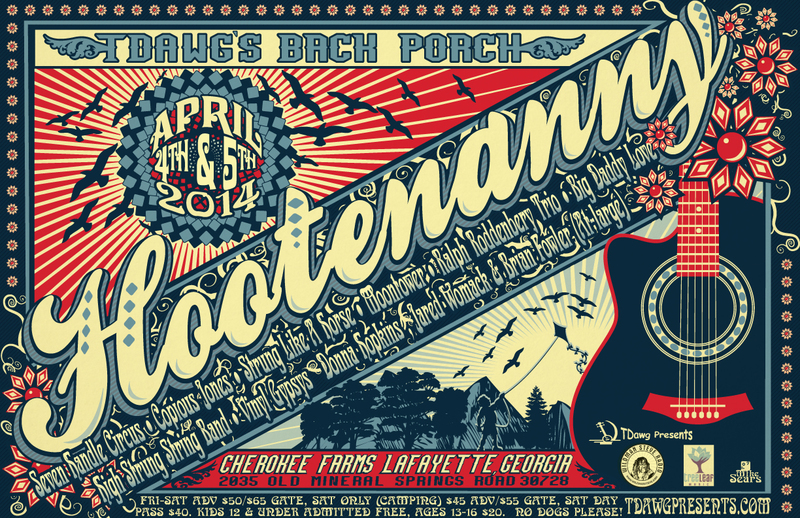 ← TDawg’s Back Porch Hootenanny Schedule!